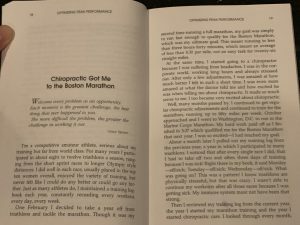 As we head into the Boston Marathon this weekend, I thought it was very appropriate to write about how chiropractic care helped me qualify for this special race. I’ve qualified for Boston five times, yet it was the first time that I qualified that made a huge difference in my life. 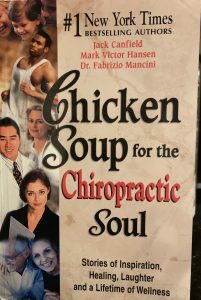 About seven years after qualifying the first time, the authors of “Chicken Soup for the Soul” announced they would be writing an edition for chiropractic, and they asked chiropractors to submit stories. So I did. And out of the more than 5,000 submissions that they received, my story was one of 64 that was selected to be published in their book “Chicken Soup for the Chiropractic Soul.” It was pretty exciting. So here’s the story, typed up again and put in a blog for you to read. 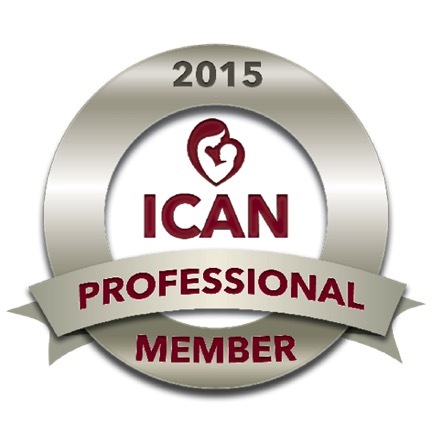 This is what changed my life and ultimately resulted in me becoming a chiropractor. I’m a competitive amateur athlete, serious about my training but far from world class. For many years I participated in about eight to twelve triathlons a season, ranging from the short sprint races to longer Olympic style distances. I did well in each race, usually placed in the top ten women overall, enjoyed the variety of training, but never felt like I could do any better or could go any further. Just as many athletes do, I maintained a training log-book each year, constantly recording every workout, every day, every week. One February I decided to take a year off from triathlons and tackle the marathon. Though it was my second time running a full marathon, my goal was simply to run fast enough to qualify for the Boston Marathon, which was my ultimate goal. This meant running in less than three hours and forty minutes (3:40:00), which meant an average of less than 8:30 per mile, not an easy task for twenty-six straight miles. At the same time, I started going to a chiropractor because I was suffering from headaches. I was in the corporate world, working long hours and always stressed out. After only a few adjustments, I was amazed at how much better I felt in such a short time. I was even more amazed at what the doctor told me and how excited he was when telling me about chiropractic. It made so much sense to me. I too became very excited about chiropractic. that next year. I was so excited – I had reached my goal. About a month later I pulled out my training log from the previous year, a year in which I participated in many triathlons. I noticed that after every single race I did, that I had to take off two and often three days of training because I was sick! Right there in my book, it said Monday -off/sick; Tuesday-off/sick, Wednesday-off/sick. What was going on? This was a pattern! I know triathlons are physically stressful, but that was crazy. I wasn’t able to continue my workouts after all those races because I was getting sick. My immune system must not have been that strong. because I was sick. I was just simply never sick! I stayed healthy! My immune system was strong! It was at that moment that I realized the power of chiropractic. Chiropractic is what helped me run that marathon and achieve my goal. Though I was the one who forced myself out the door to run five days a week, who went to the track every Tuesday night to do speed work, who made myself run 15-20 miles on a single Saturday morning, I realized it was chiropractic that enabled me to stay healthy enough so that I was able to perform at that level on a consistent basis. Chiropractic kept me healthy, kept me energized, kept me injury free, kept me subluxation free. I was the one who made me run, but it was chiropractic that allowed my body to be healthy enough that it could successfully handle the stress of training hard for a marathon. Sure, if I hadn’t had the discipline I may not have qualified, but chiropractic allowed me to get there. Five months after this realization, I ran the Boston Marathon. Five months after the Boston Marathon, I left my job, moved to Atlanta, and began Chiropractic College. It made that much difference in my life. I am now able to give that reward back to others who come into my office every day. Childhood sports & injuries	A firefighter or construction worker?